Get The Locks On Your Business Today! Commercial establishments should always have their locks upgraded from time to time. As new locking technologies emerge and as the nature of threats become more severe, old locks become vulnerable and it is wise to upgrade the systems, sooner than later. There are many ways you can upgrade the locks in your office or commercial building. You could change the locks or you could hire a commercial lock rekey service West Palm Beach. Replacing all the locks or getting new locks would be a costly exercise. Unless your company has substantial spare cash, you may not be interested in spending money on new locks. A home requires fewer locks in comparison and it is still a viable solution. Commercial buildings may require scores of locks, not to forget the numerous locks of cabinets and safes or other fixtures within the premises. It is wiser to rekey commercial lock or to rekey office instead of changing all the locks. 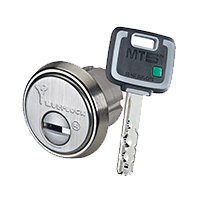 Commercial lock rekey service West Palm Beach wouldn’t just cater to the advancement of locking and keying technology but it would also be a remedy to an obvious concern. The keys to a commercial building, establishment or an office are handed over to many people over a period of time. There are security guards and there can always be a change of guard or personnel. Workers or managers and many other people may have the keys or access to the keys. Contractors and other professionals who aren’t employees of the organization may get access to the premises. There are cleaners, electricians, plumbers and other technicians who can have access to the keys. There is no way of telling if anyone has any nefarious intention or if the keys have been duplicated or replicated. The only way to prevent any mischievous attempt or serious theft is to rekey commercial lock. The existing keys which others may have got access to will become redundant and useless. We offer emergency and scheduled commercial lock rekey service West Palm Beach. We are available 24/7 and we don’t overcharge on weekends or late at night. You can consult us, hire us for an immediate resolution or you can schedule the entire project. We can confine our commercial lock rekey service in West Palm Beach to the main locks or we can rekey every commercial lock that you have. LET AN EMPLOYEE GO? RE-KEY YOUR LOCKS!